Make sure you check down at the bottom of the page for your scavenger hunt code and rafflecopter entry. What good is running AWAY when you only end up lost? Cassandra Pierce had her whole "perfect" life planned out by her parents. One night of pure weakness and lust has her running away from it all and seeking refuge in Alamosa with her best friend. But it seems life has other plans for her when she finds herself lost in the small town of Keaton. Jason Bradley is a charming country guy. He lives a simple life that’s nothing like what Cassandra is used to. A single moment in life changed everything he thought he once knew, leaving him with a broken heart and an unplanned future. What happens in Keaton is nothing Cassandra or her heart could have ever prepared for. The instant connection she shares with Jason is no secret, but what they're keeping hidden from one another is. Will these two be able to find a way to trust each other or will their secrets tear them apart? Review: wow, there we no words to describe how I felt when I finished this novel. I had to save myself to write this review, I'm glad I didn't leave it until the last minute otherwise the page would be somewhat tear stained! I had no clue what to expect from this novel. I know I like the New Adult genre and this sounded like a cute story. The beginning of the book was definitely that. You are dropped right into the action which is the way I like to begin most good reads. We meet Casandra and learn that she is running away from something but we are not sure what yet. Suddenly everything changes,she is involved in a minor accident in a town she doesn't know and is helped by a lovely family she has never met before. The storyline continues beautifully from there. She gets to know People, goes out and discovers new things and we as readers get to know just some of her secrets and also the secrets of her new friend Jason. All the things she gets involved in sound really fun and I was just thinking what a lovely easy read it was, when BAM! Everything changed. You don't see it coming, it gets your from nowhere. I was literally sobbing for the last 10% of this book, not just weeping, not crying, sobbing. My advice would be not to read this in a public place or on your own, or when you have to look presentable at any stage, cos your eyes are going to be red/puffy! The characters in this story were just lovely. Casandra is the perfect mixture of mature and naive and so I never felt at any point that I wanted to shout at her to sort her life out and start running away. I defy anyone not to fall in love with Jason and his family, he is just unconditionally kind and loving and helps Cassie discover so much about herself as well as helping her after her accident. I love Cassie's friend Mel because she reminded me of my own best friend, she was so protective of Cassie and looked out for her, right up until the end of the book! If you're a fan of the New Adult genre then you will definitely enjoy this book. 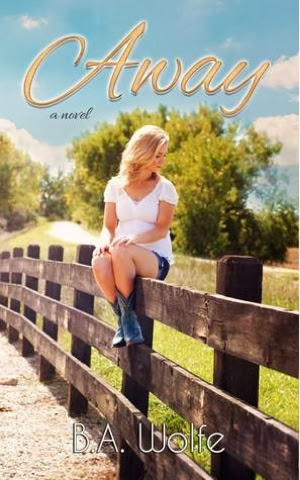 If you like reading books where cowboy boots are involved, you'll love this. And if you're looking for a book that'll let you have a good cry at the end then go for it! I really did enjoy this book but I'm still feeling emotionally scarred by the ending and so the book definitely does come with the warning that you will cry somewhere in the vein of One Day or The First Last Kiss (both of which definitely make it onto my favourite book list). So yes, a lovely novel with a killer twist, as must for new adult fans! I love how detailed and intricate your review is. It really breaks down what worked for you and what didn't. I've had this book on my wishlist for awhile. I will definitely consider it for my next read.